The other day, an envelope came in the mail for my mom. 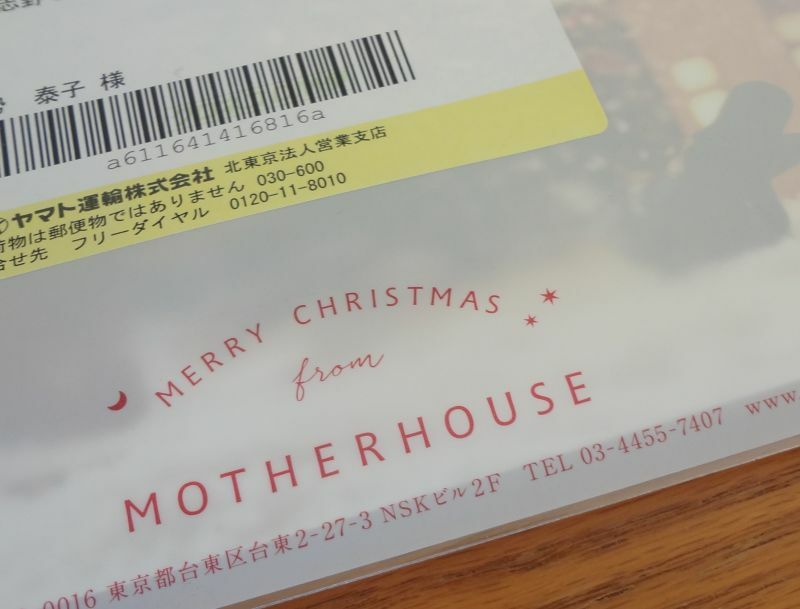 It was from Motherhouse, which is a bag brand my mom uses. Why does she love Motherhouse? The bags of Motherhouse are made in Bangladesh, where she used to work. The envelope looked like it contained Christmas brochures. My mom opened the envelope. She found a lovely pamphlet and “something” in a small nylon bag. Several tiny pieces were in the bag. What could they be? 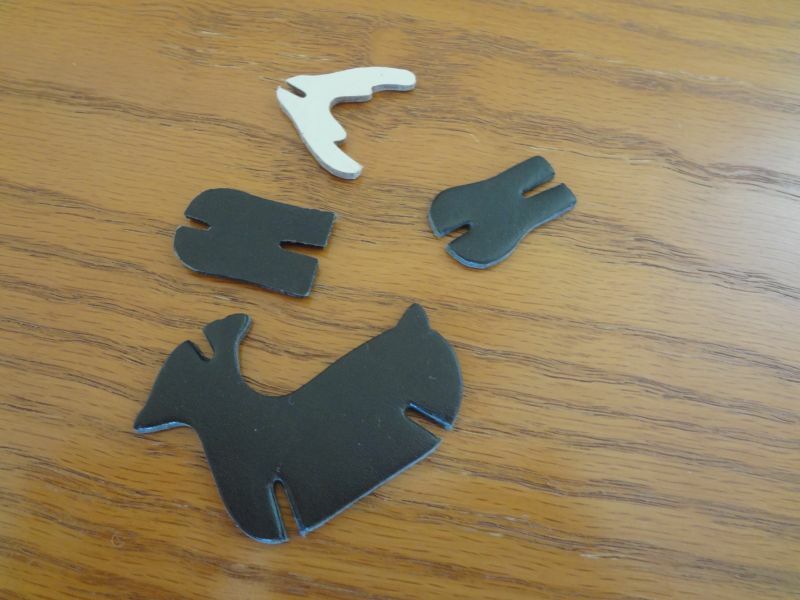 These four pieces are some kind of animal. Let’s assemble them! Wow! 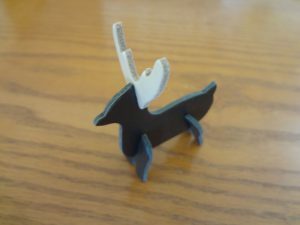 A reindeer! These small pieces are scraps of leather which was used to make bags. 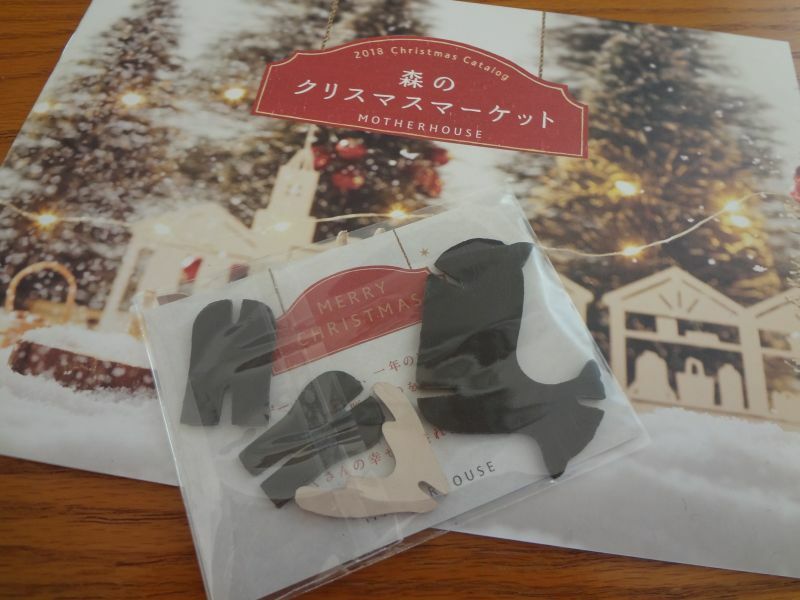 Motherhouse even uses scraps effectively to please their customers. Leather scraps are turned into a Christmas gift. What a terrific idea! 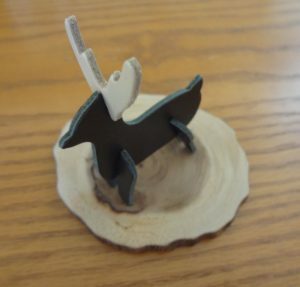 My mom put the reindeer on a wooden coaster. “Beary” cute! Why don’t you make something lovely from available resources at hand? You might have already bought some nice Christmas gifts for your loved ones, but with a little creativity, you can add “something BEARY special” to those gifts. A beary Merry Christmas and Happy New Year to you all! If you are interested in Motherhouse’s bags, click below.